A simple bag that satisfies your ordinary desires! Whether it’s for a quick errand or just to carry your essentials while you are on the go, the Troop London Large Sling Bag is always there for you. Made from PU with a matt suede finish, this sling bag promises to be a long lasting companion that encourages neither tears nor wears. 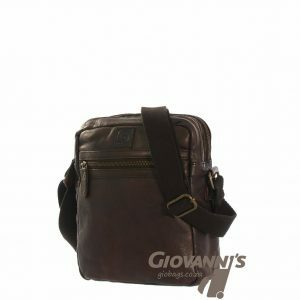 It features a single central zipped compartment that houses two slip pockets and an extra pocket for large size tablet(s). Also, there are two exterior zipper pockets for storing your accessories. 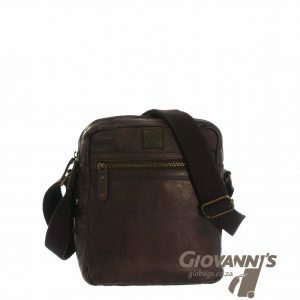 To enhance convenient carriage, the bag comes with a firmly attached shoulder strap that can be adjusted according to preference. A Troop London key ring charms holder adds a personal feel to this crossbody bag. Features: Internal – Main zipped compartment with a tablet section and 2 slip pocket. External – 2 zip pockets on both sides, Troop London key ring charms holder and adjustable shoulder strap. Smart Design: Spacious enough to carry what you need on-the-go; keeps your items neatly organized. This bag makes a quick choice for a sleep over or very short travel plans.